This beautiful new grey odense armchair with footstool is our latest addition to our extensive odense chairs collection. 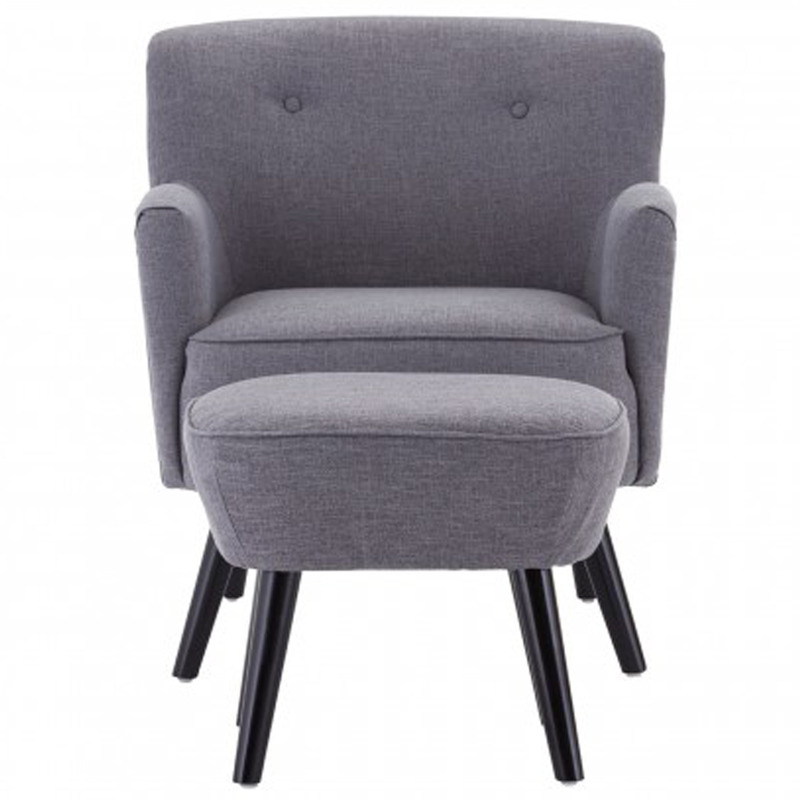 This new beautifully crafted armchair features a low profile backrest, simplistic design, lovely grey colour, button stitch detail and a footstool. The angled, slender black, wooden legs give it a lovely contrast. Also, this item is complete with a cushioned backrest, seat and footstool, making it the perfect addition for your lounge and living room.